This chapter is still in the editing process and more data needs to be added. Paola Harris: He talks extensively about his role as interface with this human looking alien in a diplomatic capacity. These are the protocols of which I speak in my new book: Exopolitics: How Does One Speak To A Ball Of Light - Exopolitical challenges and protocols for future contact. This year in Italy, two important books surfaced talking about aliens among us. The first book was written by Stefano Breccia. Italian engineer and computer graphics expert and telecommunications who is considered a very credible source. 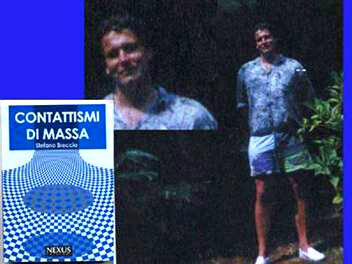 The book is called Contattismi di Massa (Nexus Edizioni) which literally means Mass Contacts. It deals with two opposing groups of Aliens situated near the Adriatic coast near Pescara who mingled among the residents and especially who communicated with several important political figures in 1956. Their liaison contactee was a man called Bruno Sammaciccia, a credible figure who held four University degrees among them psychology and psychiatry and amazingly enough was nominated man of the year by UNESCO in 1982 for his cultural background. He was first contacted telepathically by these very tall (8-foot) humanoid aliens who had a base in the Adriatic sea. In the Chapter called “Amicizia” at the end of the book he talks about their habits, intentions and their interaction with humans among them, such prestigious figures as a Brazilian Cardinal, a famous painter, a general of the carabinieri (Italian Military Police) but in particular, they contacted the much noted (Italian Consul) Console Perego who had the sighting over St. Peter’s December 1st 1953, and who spoke about UFOs to many Italian Officials in the 50’s much like Adamski. Contacted telepathically was also, journalist/photographer Bruno Ghibaudi who took the amazing photos of these distinct craft coming out of the water near Pescara on the Adriatic coast. The book includes many photos of this plus the dignitaries mentioned plus one photo of an 8-foot tall Alien who said he was part of a confederation from a “blue” galaxy which means probably a blue nebula. One message given to Planet Earth was “most extraterrestrial life was humanoid in Nature!” They look like us! The second book that I researched is called Beyond Heaven or Oltre il Cielo by Maurizio Cavallo. This second book details the agony and the ecstasy of Maurizio’s contact with a group from Clarion from the star system of Aquila (the Eagle). The problems with conflicting realities and dimensional travel which almost led him to insanity. Cavallo’s contact happened in 1981 and in an effort to stabilize himself in this reality, he took many photographs, and many Polaroids of different aliens, of this what he also calls the “confederation!" These Clarions asked him not to release them for 10 years to test his commitment to them. Most every photograph portrait has a name and is very particular. He explained to me that his Clarion Contacts absorb light when photographed so there are many flashes of light as in the picture of Suell. I have been working on the Maurizio Cavallo story since October 2006 and find him very stable, logical, calm and credible. He simply lives his story. It is very difficult to evaluate this type of case that has films, photographs and artifacts. Although I visited him four times always staying in his town for days, I became very anxious to involve Jaime Maussan from Mexico in this particular case especially since he was doing the “Antonio Urzzi” case only 40 kilometers away. The Urzi footage of daylight UFOs matches that of Mauizio Cavallo and in one film, it seems like the same UFO. Antonio Urzi is in Milano, Cavallo lives one hour away near Torino and his contacts come about in Val D’Aosta as well as the French Alps. Jaime Maussan flew to Milano the 11th of May 2007 and he filmed interviews for two days. Both these contactees are summoned to film these craft plus they are sensitive to the presence of their extraterrestrial friends. They are chosen. It is ironic to me that there is a special timing to all this. It seems about time that we realize that these people walk among us on Earth and they are concerned with our welfare to some extent. My job is simply to report the story and with Jaime Maussan to slowly analyze the case and report what they tell us. You decide! Maybe It is time. 1. This book Mass Contacts is a “milestone” in Ufology. Why did you decide to publish it? More importantly why now? Is the time for disclosing this better? The book relates histories of mass contacts in the world and in the Pescara region of Italy, but of course the one I’ve been involved with is the last one, Amicizia meaning Friendship; therefore it has been, to me, the most important one; and, among the pages devoted to Amicizia, probably the most interesting is the last one, “Maieutics,” where I present the reader with excerpts from their way of thinking. I believe that everything I wrote is important, otherwise I wouldn’t have made the effort to write it. 3. How does the reader find this story credible? Do the photographs of the actual protagonists help? I do not intent that anybody believes what I’ve written. I’ve stated this many times, within the text. It’s up to the reader to decide whether I am a fool or not. About photos, I am the first one to state that pictures are meaningless; I even present a fake, done by myself. I’ve included a lot of pictures simply because most of them are totally unknown, up to now. Think of the scout craft formations, seen from above! Or the many pictures shot during a landing. I’ve never seen anything like that in any UFO book, therefore I believe that Contattismi di Massa has been the first one to show such things. There are even two pictures of W56 people. The one on the cover is actually composed by two half-pictures, that have been put together, but they come from two different images, otherwise our Friend would show three arms at the same time! 4. Have you been warned about disclosing too much? Have you yourself met these people? No. I am not disclosing too much and yes, I have seen them. 5. Do you think that the fact that they’re a human looking aliens that live among us more dangerous than taking about the EBE or the Grey? Where did they live? Did they use "Italian words" or telepathy? 6. Tell the unacquainted reader about the two separate groups of human type aliens. What were their names and why did we give them a “name?" How long did they live? Give a physical description, please. The problem about names is really difficult to be afforded in a few lines. What I may say here is that almost all of the names of the characters involved have been invented here on Earth. Physical descriptions, and the like, may be found inside the book.There are many different groups of aliens interacting with our day-to-day life. Aside the W56’s and the CTR’s, my book quotes also the Elta V’s, the UTI’s, the Ummites, and obviously nobody may know how many others were (and are) around us. As far as I know, all of them are human-like, with only minor differences, height among them. 7. Why were these two groups fighting? Sorry, but you may understand that describing such things, with a lot of technology beyond our actual knowledge, is too difficult to be condensed in a few lines. I may just recall that (as I have written) there are no fixed entries into: When necessary, a passageway is open, then closed, and everything gets back to the “status quo ante.” The “big base” had a ceiling 300 meters high, so that, at times, it was even raining inside it! Any way, I may state, if anybody may be willing to believe me, that a lot of our Friends are living among us, interacting at ease with our society, having Earth identities. 11. Did they do a "technology exchange" with anyone and were the Americans aware of them? We know they contacted the Vatican through certain Cardinals. I do not intend to be the champion of aliens of any kind. I have written what I, honestly and without any peculiar aim, believe could be written. Mass Contacts is an astounding story that says that Contact has begun from one who knows. A detailed report of contacts with human type aliens on the Adriatic coast, which answers many of our questions, this book is a milestone for ufologists wh study Contact. They were here and many look like us! It's time for disclosure. Paola Leopizzi Harris-Researcher and Author: Connecting the Dots; Making Sense of UFO Phenomena; Exopolitics: How Does One Speak to a Ball of Light? This book is a true milestone in the spreading of the reality of contacts between our humanity and extraterrestrials, both in the past and now; it gives rise to vital importants, hints in order to understand the epoch-making events that are waiting for us, and interact with them in the best way. Stefani Breccia and I are friends, and have been responsible keepers of truths that not always were sharable with other people. Both of us have dedicated a significant part of our lives to UFO's, myself trying to spread this reality in the best way. Stefano trying to understand its roots, both being aware of how important the phenomenon is. And so I have acted as a midwife to the important result of Stefano's work, being convinced that reading this book is at the same time necessary and useful. This book, based upon memories of experiences covering a period of many years, is charming above all for it concerns the contact, first, and then the coexistence of humans and aliens, working toward a single goal. I really liked him. 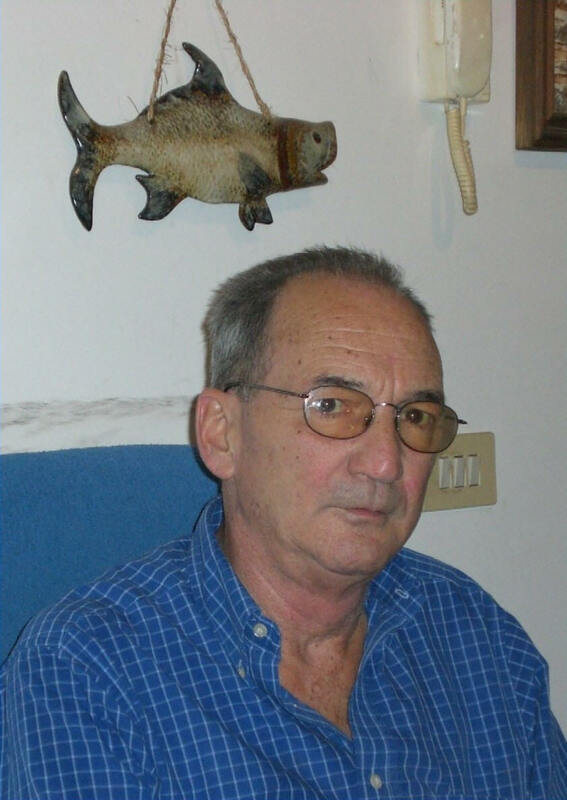 Stefano Breccia, author of "Contattismi di Massa" (published in the USA under the title of "Mass Contacts") passed away last night (March 1, 2013). He was very ill. His book told the story of "Friendship", one of the most important cases of contact between humans and aliens in our history. His work has given us one of the most beautiful pages of modern Ufology. Thanks for all, Stefano. We'll miss you! I'm saddened by all of the problems and death I'm hearing about within the Mists. I briefly looked at this material previously, but now I will try to look at it in more depth. I liked reading the 'Lacerta Files', the Courtney Brown online books, etc. I like the question and answer format. Once again, I have no idea what's true and what's bogus -- but I like to keep exposing myself to this sort of thing -- so that I eventually get used to it -- and gain a significant level of discernment. I wish we could've conversed more -- but perhaps the time and circumstances were not ideal. Maybe later. Anyway, I will be reviewing the work of everyone within the original Project Avalon, and within the Mists of Avalon. I wasn't ready for a lot of it previously -- but perhaps now is the time. I guess I just needed a proper introduction and context. Now I will examine the details. Namaste. orthodoxymoron wrote: I'm saddened by all of the problems and death I'm hearing about within the Mists. I briefly looked at this material previously, but now I will try to look at it in more depth. I liked reading the 'Lacerta Files', the Courtney Brown online books, etc. I like the question and answer format. Once again, I have no idea what's true and what's bogus -- but I like to keep exposing myself to this sort of thing -- so that I eventually get used to it -- and gain a significant level of discernment. I wish we could've conversed more -- but perhaps the time and circumstances were not ideal. Maybe later. Anyway, I will be reviewing the work of everyone within the original Project Avalon, and within the Mists of Avalon. I wasn't ready for a lot of it previously -- but perhaps now is the time. I guess I just needed a proper introduction and context. 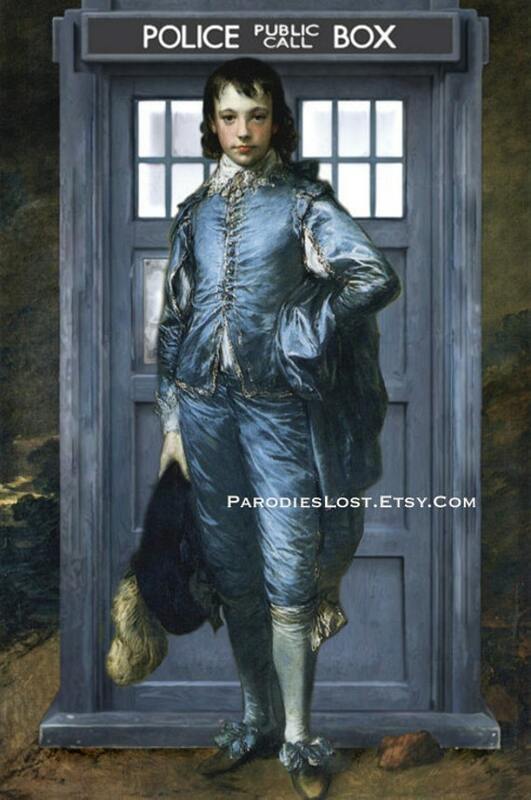 Now I will examine the details. Namaste. Here's a 5 part documentary about him - VERY good! I'm all open to the idea that there are giants, aliens, what-have-you. That's why I can't stand deliberate mis/disinformation (although, interestingly [deliberately? ], seems to draw serious attention to 'ridiculed' subject matter). Still, too much mis/disinformation is [deliberately] disheartening. In the meantime, I couldn't 'verify' one (giant, alien etc. even with someone else's 'proven' account) unless I walked into one myself (has to look like something other than human because I walk into 'humans' all the time... lol [everyone's an alien?]). So, ANY AND ALL information -- regardless of how 'good' the source is supposed to be -- is just stories (the con jobs are getting better and better) until I've had a first-hand experience. Anyway, I think I'm an 'alien'. I think we all are. Maybe not 5 meters, maybe not alien - or is she - but nonetheless huge!!! Not bad, not bad. I want more.